Thanksgiving is upon us and I just can’t wait for Turkey Day! I just love Thanksgiving…and being in Atlanta this year, I think we might be in for some cool weather…which I am also very excited about because it has been in the 80s in Los Angeles for the past several weeks. It is nice that fall is finally in the air! We are at the tail end of Thanksgiving and Chill month here on Tiny Kitchen Big Taste. 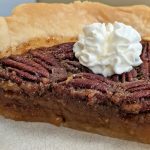 If you are looking for a really easy dessert for Thanksgiving, I must encourage you to try this Pecan Pie! Before I had ever made Pecan Pie, I always thought it was a complicated pie to make. Nothing could be farther from the truth! I think that perception stemmed from the idea of having to make the crust. Which, if you have the time, by all means, do it! 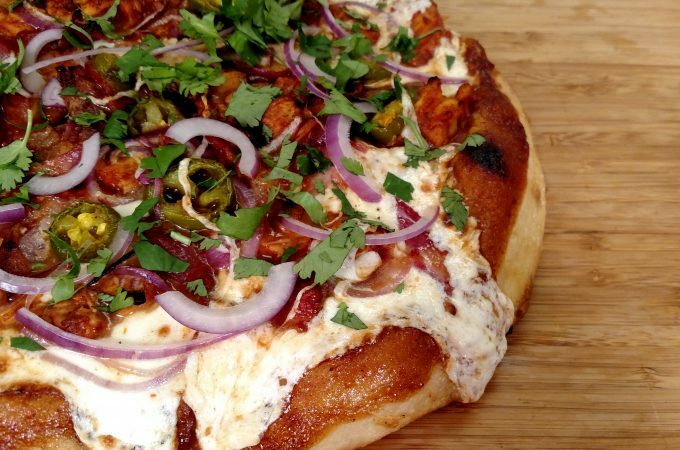 But these days, there are some great options in the refrigerated section of the grocery store that will give a homemade crust a run for its money. These are not the pre-formed ones in the pie pan that you sometimes see in the frozen section. The pie crust I’m talking about is in the refrigerated section an comes in a box. All you have to do is bring it up to room temperature and then form it in your own Pie Pan. After rolling out your pie crust, place your Pecans on the crust. All that’s left to do after that is combine the remaining ingredients and pour it over the pecans. Literally, it might take you 10 minutes (if that) to put this Pecan Pie together. Then bake. A couple notes about baking. Pecan Pies can be all over the board in terms of baking times. I have found that 1 hour (40 minutes covered, 20 minutes uncovered) is a good starting point. Then just shake the pan. If it is really loose and wiggly, keep baking! It should jiggle a little bit, but not a lot. The one I made for the video took about an hour and twenty minutes. I ended up re-covering it at the hour mark because I didn’t want it to brown on top too much. Just keep an eye on it and you’ll be fine. 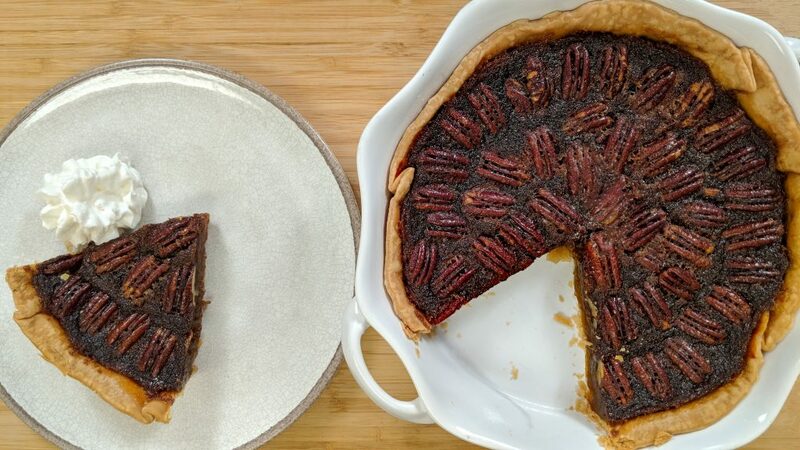 This is a great recipe for Thanksgiving because you can make this Pecan Pie well in advance. If you make it more than a day or two, though, I would recommend that you store it covered in the freezer and give it a couple hours to come up to room temperature on Thanksgiving Day. Simple. 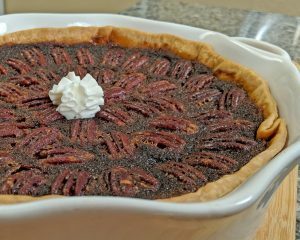 I hope you give this Pecan Pie a try this holiday season! One thing I am thankful for this Thanksgiving is you! I am so appreciative of all the support, comments and notes that I get from you. And seeing your Tiny Kitchen creations on Instagram (@tinykitchenTV) just makes my day. I hope you and yours have a wonderful Thanksgiving…and that, by making some of your fixings and trimmings in advance, it is a day that is filled with a little more rest and relaxation this year! 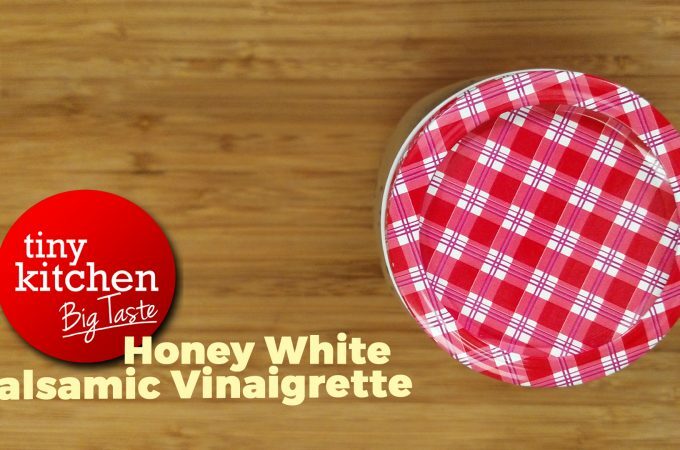 This Southern Classic is actually pretty easy to make! Plus, you can make it in advance and store it in the freezer until you need it. Perfect for making Thanksgiving a little more manageable. Bake covered at 350°F for 40 minutes. Remove Aluminum Foil and bake for 20 minutes more. Shake pie. It should wiggle a slight bit, but not too much. If too wiggly, continue to bake. (Note: if the top of the pie reaches its desired brownness, cover with Aluminum Foil until completely baked.